In the earnings report call today that sent Apple’s stock price over $400, Apple CFO Peter Oppenheimer lifted up the curtain a bit allowing the world to see into Apple’s pipeline. He then hinted at the suggestion of the iPhone 5 when he said that the September quarter would be affected by a “product transition”. 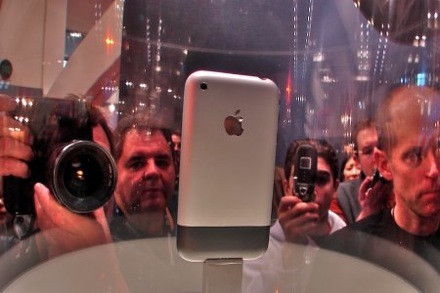 This “product transition” is believed to be the much anticipated Apple iPhone 5.